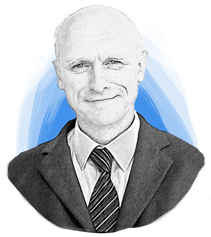 Dr. David Brett is Team Leader Product and Service Management at Vetter and is responsible for the development of Vetter’s service offering to optimally fit customer requirements. David joined the company in 2010 as product and service manager with a focus on innovation in injectable drug-delivery systems, clinical development and commercial manufacturing. He became Team Leader of Product and Service Management in 2015. Before joining Vetter, he worked in the Siemens Healthcare strategy and innovation department on a number of topics including protein target molecules for cancer and diabetes, e-health, personalized medicine and molecular imaging.